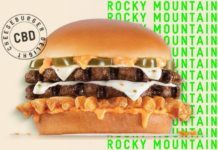 Domino’s has unveiled their latest culinary creation and it’s causing quite the commotion on social media. 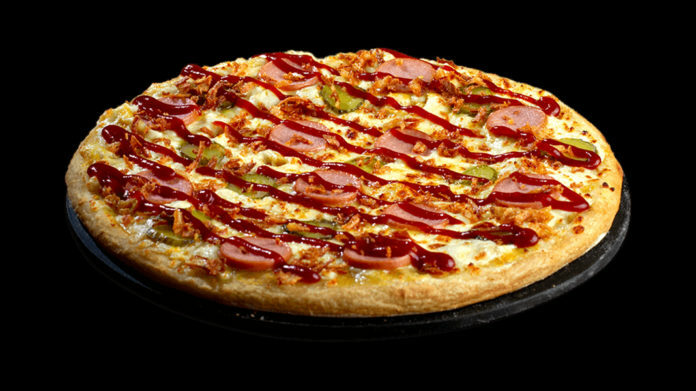 Introducing: the Hot Dog Pizza. We knew this day would come eventually. According to a National Today survey of 1000 Americans, pizza ranks #2 in the country in terms of America’s favorite fast-food, just behind the #1 winner: hamburgers. It makes sense then that hamburger pizza has been an option at most pizza places for years. But now another classic American dish — the hot dog — gets a home atop melted mozzarella and mustard sauce, and even stuffed into crusts and calzones. If you thought hot dogs were only meant for buns, Domino’s France strongly disagrees. That’s right, the only place you’ll be able to get your hands on a Domino’s Hot Dog Pizza is in France, which begs the question: Why? 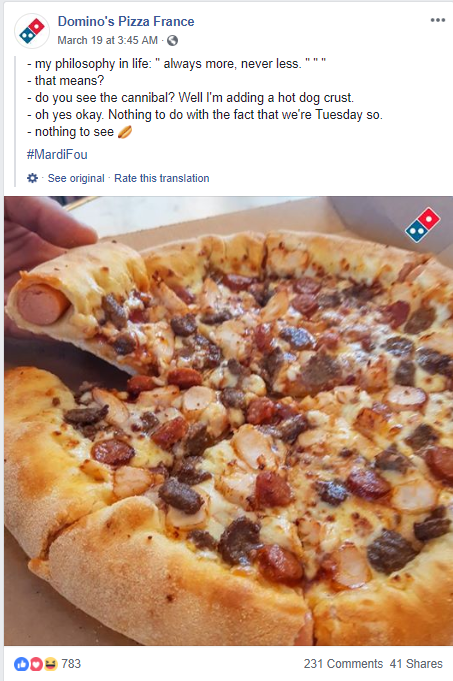 “Always more, never less,” says Domino’s Pizza France’s Facebook page on their post unveiling the Hot Dog Pizza. This doesn’t really answer our question, but it does look like Domino’s France is trying to capitalize on their American Fast Food origins. The Hot Dog Pizza comes fully loaded with sausage, mozzarella cheese, pickles, crispy onions, and the marinara tomato sauce has been replaced with a yellow mustard sauce. The whole thing is finished off with a barbecue drizzle. Both the Burger Pizza and the Hot Dog Pizza have the option of coming with a hot dog-stuffed crust, meaning you can only get the most American pizza experience if you’re passing through France. Perhaps the sanctity of the hot dog has been grilled into our own culture here in America, which is why I’ve never heard of a hot dog pizza before this moment. 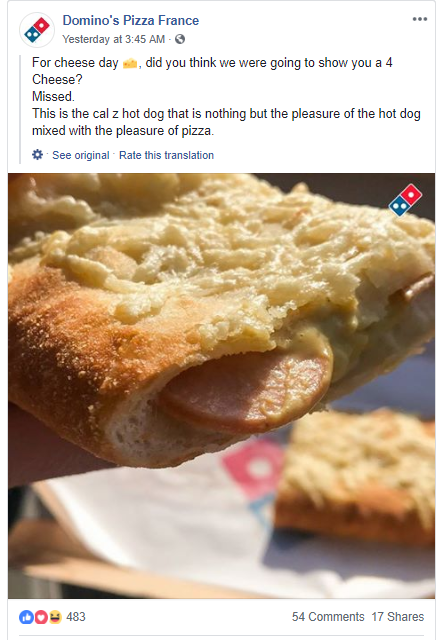 But if all goes well, we could be seeing hot dog-stuffed crust as a normal optional menu item coming to our local Domino’s Pizza here in the states. And while hot dogs stuffed into pizza crust and mustard-filled calzones may not sound appetizing at first, try writing an article about it. 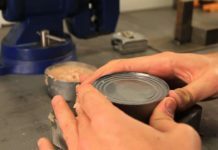 You’ll start to get hungry.